Many people Google has an edge on Bing. 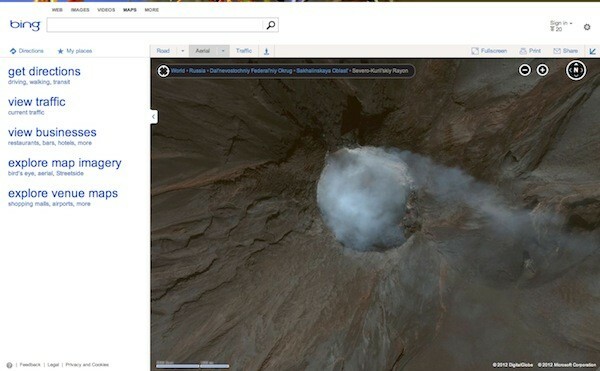 I'd be glad to say that Bing is catching up fast, especially on their maps service. Bing Maps' aerial image library just got another 165TB worth of hi-res data that covers an additional 38 million square kilometers of the globe. To put that in perspective, Microsoft's mapping solution previously had but 129TB worth of such eye-in-the-sky imagery, so this new batch of satellite shots more than doubles your viewing pleasure.